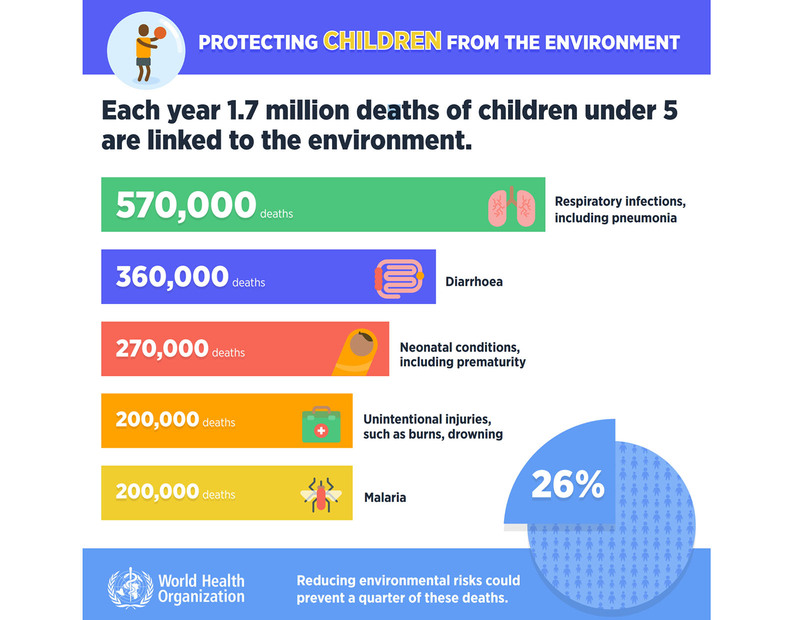 One in four child deaths are caused by smog, unsafe water and other environmental hazards. WHO said many deaths are caused by environmental hazards like electronic waste that exposes kids to mercury, lead and other toxins. Air pollution is another obvious problem, especially in large cities like Beijing and Paris (above). Climate change is also a leading issue, since it causes pollen growth that is "associated with increased rates of asthma in children," the organization says. Between 11 and 14 percent of children under five currently report asthma issues, and around 44 percent are related to environmental exposure. Climate change is an ongoing problem that won't be fixed quickly. The Paris Accord was merely a first step, but even that might be undone in the US by a Trump administration that's hostile to the idea of human-caused global warming. However, some things could be changed simply by better regulatory oversight -- for instance, the Flint, Michigan water crisis never would have happened if there were better checks and balances by city, state and federal officials. WHO wants to end preventable deaths of newborns and children under five by the year 2030. It's encouraging governments to develop safe housing free of mold, pests, hazardous materials and unclean fuels. It also hopes to see safety at schools and health facilities improved and is encouraging better urban planning in the form of emissions-free transportation, safe walking and cycling paths, and more green spaces.